Good composition is the ingredient that separates the snap shooter from the artist. It’s the difference between merely documenting a scene and providing your viewer with your personal interpretation of that scene. While learning the basics of leading lines and the rule of thirds is somewhat easy, creating meaningful images using these rules is a lifelong endeavor. Successful composition is always a delicate balance between perception, expression, and execution. One of the biggest obstacles to overcome, is the blending of the aesthetic and the technical. While both are important, it’s the aesthetic that demands more of our attention. Too often we get caught up in worrying about the exposure, the depth of field or our shutter speed. These need to become second nature so you can focus your attention on the interpretation of the scene before you. Take the time to practice. Work with your gear until it becomes an extension of your hands. Removing the technical concerns allows your mind to focus on the scene before you and helps to crystallize your vision. Perception - Begin by closely examining your scene. What is your main subject? Try not to name a physical aspect such as a portrait, a mountain, or a monument, but rather why you want to photograph it. The main subject of the portrait might be the person’s expression, their clothing or maybe their attitude. Those are the real subjects, not the person themselves. Remember you are actually photographing an idea or a feeling, not the actual subject. Expression - The next step is to deciding how your want your viewer to experience this subject. This is your expression. Do you want your composition to be bold? Make the main subject undeniable. Larger than life. Remove any subjects that do not directly support the concept. Does your idea demand subtlety, complexity? Work to include supporting material that does not overwhelm your subject but enhances it instead. Execution - The nuts and bolts. Avoid trying to find the image first in your viewfinder. Set your camera aside and explore different vantage points and angles before determining the best camera position. Move your feet! Stand up. Crouch down. Place the subject within the frame using the rule of thirds or proper horizon lines. Determine which focal length will best capture the photo you envision. Consider whether you have too much or too little depth of field and make sure your most important subject is sharp. Consider the affects of shutter speed on motion in the scene. 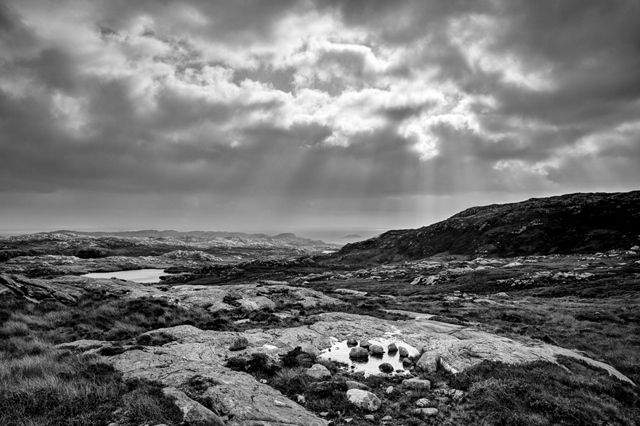 Determine if high contrast or distracting bright areas are competing with your main subject. Practice border patrol. Take the time to run a quick look around all edges of your frame before snapping the shutter. Often we are so engrossed in the subject matter that we forget to analyze the rest of our scene. Watch for lines going out the corners of the photo and small items located near the edges of the frame as distractions from the main subject. When photographing people, shoot a lot of frames. Communicate with your subject. When photographing scenes, shoot a lot of frames. Vary your distant to the subject and explore various vantage points. Tim began his career as a commercial and assignment photographer working with clients such as The North Face, The Ritz Carlton, Vasque boots, 3M, Blue Note Records, and The International Heart Institute. His editorial and commercial photographs have appeared in Travel & Leisure, New York Times Magazine, Outdoor Photographer, Ebony, Fly Rod & Reel, Modern Luxury and Private Clubs as covers, advertising, art and editorial illustration. In addition to commercial work, Tim teaches various workshops, classes and seminars as well as writes and consults on both photographic and digital technologies. He is the author of the training videos Perfect Exposure for Digital Photography, Perfect Composition, and Magic Light, and his latest book Complete Photoshop CS4 for Digital Photographers. Today, Tim combines his love for photography with his love for showing others a means by which they can realize their own similar passion.